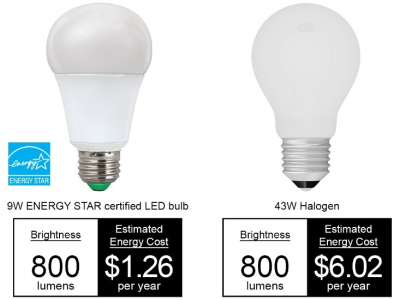 [Light bulbs] LED lighting differs from incandescent and fluorescent in several ways. When designed well, LED lighting is more efficient, versatile, and lasts longer. What's your end goal for retrofits? How many LED lights per business location? What type of light do you currently have?